We’ve put together a list for you of the best ergonomic gaming recliners that do come with a footrest for 2018. 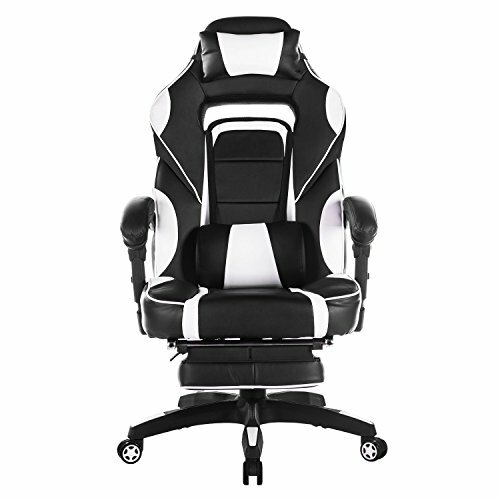 We’ll be focusing on these gaming recliners: TOPSKY High Back Gaming Chair Vs Ficmax Ergonomic Racing Chair Vs Merax Swivel Chair Vs OrangeA Ergonomic Gaming Chair Vs Merax Racing Computer Gaming Chair. When it comes to choosing a gaming chair, you often find yourself choosing among different options. From stylish gaming recliners to affordable ones, what are the top recliners to use for PC gaming, that offers you comfort and ease of use? They’re in order starting with out favorite pick. 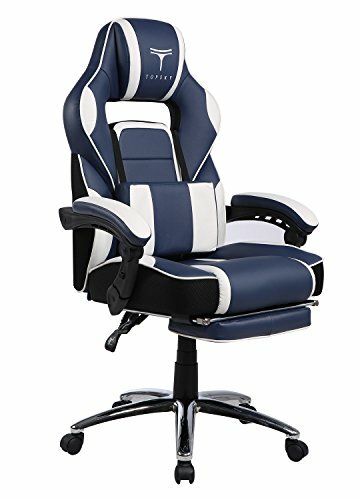 Playing your favorite computer game for long hours will no longer cause discomfort especially if you now have a gaming chair like TOPSKY that is designed and built to give you that added comfort. This gaming chair allows you to recline back from 90 to 175 degrees. This gives you flexibility to use the chair in whichever way you look depending on what you need. To prevent having sore legs, the gaming chair has a footrest that you can pull outwards. Other features that give you that high level of comfort includes lumbar cushion, big headrest, adjustable armrest and thicker seat. You can make the necessary adjustments to ensure that you sit comfortably. For an elegant design that gives you that high-performance style you need to level up your gaming experience, there is the MERAX Racing Computer Gaming Chair. This is designed to give you both additional comfort and style. With its reclining mechanism, you get to have a chair that enables 90 to 180 degree forward and backward movement. Choose a suitable position with its gas spring cylinder that is height-adjustable. For additional support, the chair has a head rest pillow that you can remove and a lumbar cushion. For stability, it uses Five Star Base fitted with castor wheels. 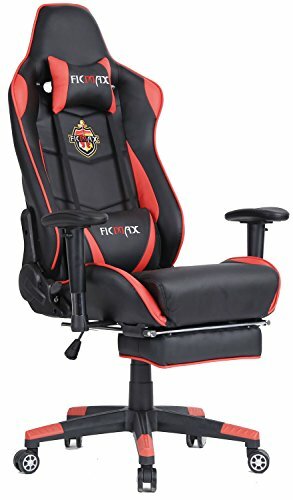 If you are looking for a chair that has a bigger seat cushion and wider chair back, the Ficmax Computer Racing Chairis the one for you. It has a thick foam padding with PU covering along with back, foot and lumbar support which gives you added comfort for extended hours of playing. 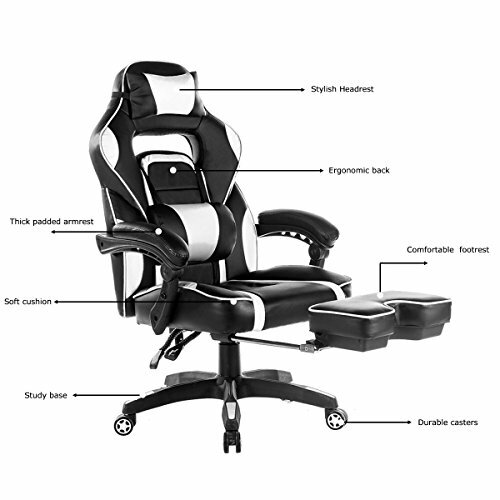 What sets this apart from other gaming chairs is that it has a vibratory massage function that will relieve any fatigue. Adjust the height and the armrest depending on your preference. With the chair base that is heavy duty as well as its castor wheels, you have greater stability. A chair that is ergonomically designed for cushioned and comfortable seating, the MERAX Swivel Chair is also a good choice. 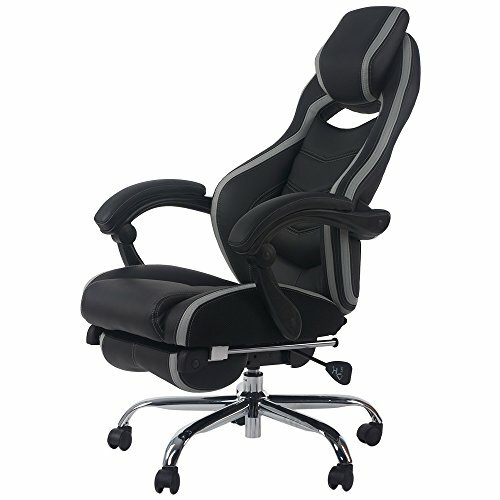 It has a curved backrest design that fits your body frame for a comfortable seat. If you want to be in complete relaxation, you can adjust your chair to 180-degree position. What so nice about the MERAX Racing Style Gaming Chair is that not only is it very stylish, it also offers added comfort. It comes with padded headrest and lumbar support to have better seating experience. It has a thick footrest that is padded so even when you are playing for long hours, you won’t get sore. Another top quality gaming chair that combines modern style and designed for optimal comfort is the OrangeA Ergonomic Gaming Chair. It features 360-degree swivel and it allows you to have backward movement (90 to 180 degrees). You can even lie down like you are lying on a bed. 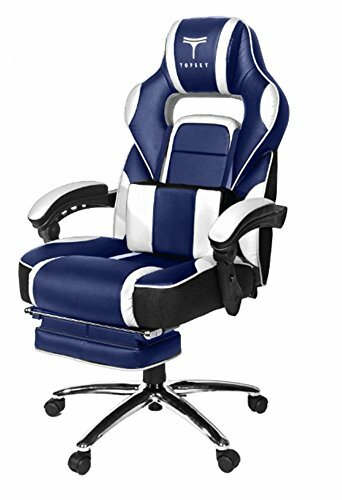 Made from top quality PU leather, you have a gaming chair that is high quality and comfortable to use even if you are playing for several hours. 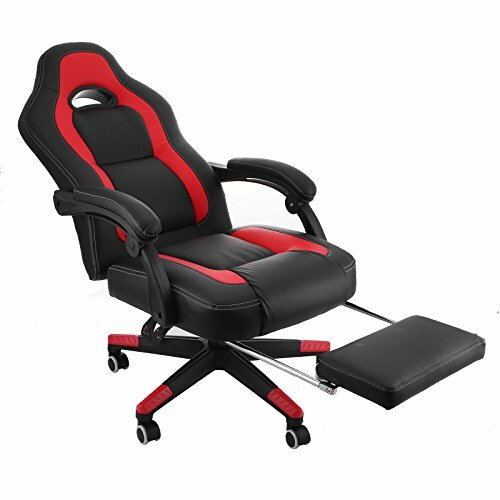 The gaming chair also has a footrest that you can pull outwards so you can relax your legs. A very stylish gaming chair, OrangeA levels up your gaming experience without comprising quality and comfort. Computer games may sometimes need that you play for many hours. You won’t even notice the when you are already into the game. The tendency is you get hooked up until you experience having back pain and sore legs. This usually happens when you do not have a comfortable gaming chair to use. So for avid gamers, having a stylish gaming chair that offers comfort and convenience is definitely a must. When you are playing for many hours, you just want to comfortably sit and play the game.